LAVAL, QC. 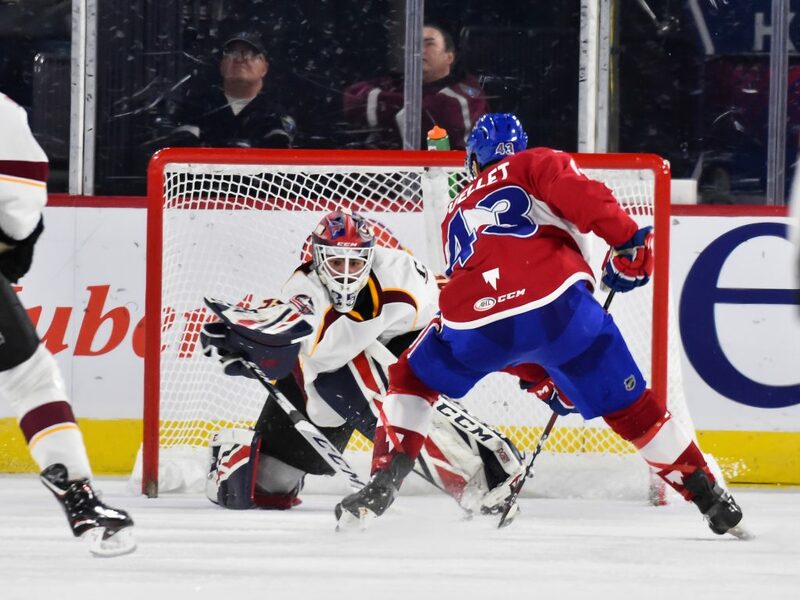 — The Laval Rocket began their five game road trip last Monday with a 4-3 overtime win against Springfield. It was an impressive accomplishment since the team was forced to travel at 6am on game day because of the inclement weather and the state of the roads on the previous day. After three days off in Allentown, the Rocket lost 3-2 against LeHigh Valley on Friday night and then lost 4-2 against Hershey the following night. The AHL is on it’s All-Star break until Thursday night, and the Rocket will resume action in Toronto to face the Marlies on Friday and Saturday night. It will be an important weekend for Laval as Toronto currently holds the fourth playoff spot in the North Division. The Rocket currently trail the Marlies by five points. 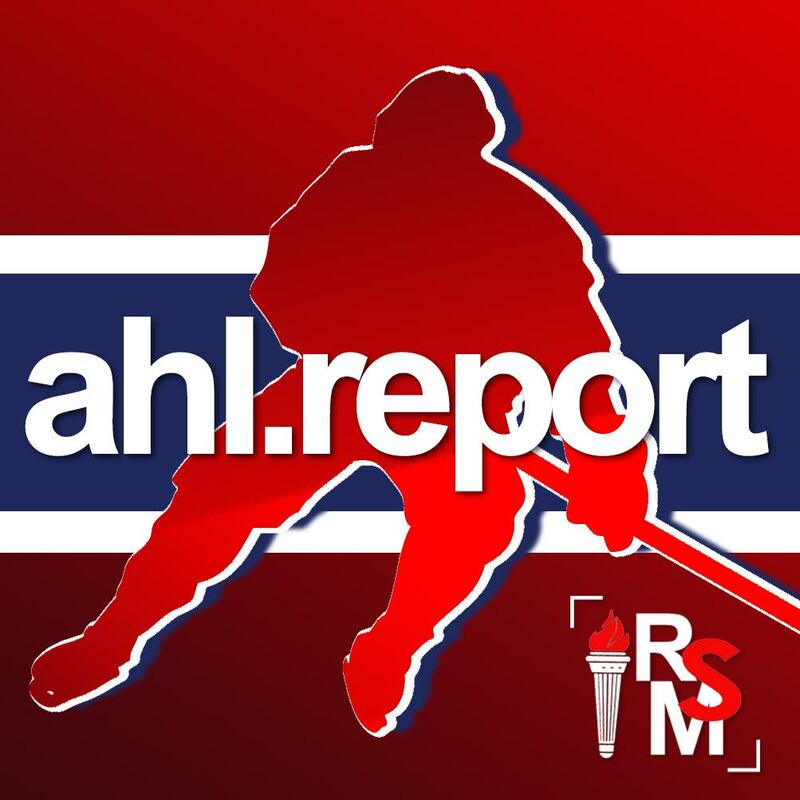 Alex Belzile was the Laval Rocket’s representative at the All-Star Game and the AHL Report team was on site in Springfield to cover the event. Click on the links to view our coverage of the skills competition and the game. Only two of the three Laval goalies will travel to Toronto this weekend, as one of them will be recalled by the Canadiens to replace Carey Price on Saturday. Price will miss that game against the New Jersey Devils because the team preferred that he skip the NHL All-Star Game. I expect Charlie Lindgren to be the goalie that will be recalled to backup Antti Niemi at the Bell Centre. Lindgren missed six weeks of action before he returned to play two games against the Moose. He didn’t look comfortable on the ice and missed the next four games following the weekend in Manitoba. Michael McNiven has done a good job in goal for Laval this season. His goals against average and save percentage are strong and he hasn’t lost in regulation in his last seven starts. McNiven was recalled by the Canadiens to act as Antti Niemi’s backup over the holidays when Price and Lindgren were out due to injury. On December 18th, Laval had a 12.2 percent success rate, which ranked them at the bottom of the league. As of today, they are ranked 19th in the AHL with a 17.7 percent success rate. I think that the main reason that the Rocket was able to jump 12 spots has been the contribution of Xavier Ouellet. He has been the team’s quarterback with the man advantage since he played his first game in Laval on December 12th. Ouellet has 10 power play points in 19 games, which places him fourth on the team, four points behind the team leader, Daniel Audette, who has 14 points in 40 games. Michael McCarron and Noah Juulsen are both sidelined with upper body injuries. McCarron was injured during practice on January 2nd, while Juulsen was hurt during December 27th game against the Belleville Senators. I regularly get asked on Twitter for updates on both players and my answer is always “I don’t know.” Very few details have been provided by the organization regarding the injuries and there’s no timeline for either player. We have been told that Juulsen’s injury is being monitored by the Canadiens medical staff and not by the Rocket, while McCarron’s absence is likely to be extended. Excluding the Gustav Olofsson injury at the start of the season, I have found that the Rocket haven’t been transparent with injury updates this season. I suppose that Geoff Molson‘s commitment applied only to the Canadiens this season. In an article published on January 23rd by Richard Labee of La Presse +, Wade Arnott, McCarron’s agent, remained optimistic that his client’s season may not be over. They are waiting for more medical results before that can be determined. One thing that seems certain is that he will not play for a while. In September, McCarron signed a one-year, two-way contract with the organization which means that he becomes a restricted free agent at the end of the season. Has McCarron played his final game with the organization? I think that it’s a strong possibility that McCarron doesn’t return. He signed his contract a couple of days prior to the start of training camp, which probably means that one of the parties wasn’t happy with the way negotiations were going. In 32 games this season, McCarron has 21 points, and in my opinion was his best season as a professional. Jake Evans left January 18th’s game against Cleveland at the end of the first period with an upper body injury. He travelled with the team last week but we have no timeline on an expected return to the lineup. Evans had scored one goal and added four assists in the two games prior to his injury. “I’m just trying to gain as much confidence as I can,” said Evans following January 16th’s game. “The power-play has been helping him, just really comfortable in that half and making really good plays, and whenever you’re feeling really well on the power play, it carries over to the five-on-five,” said Byron Froese on Evans. “He’s a good hockey player. A good progression. He’s a smart guy in and out of the ice,” added Joel Bouchard.